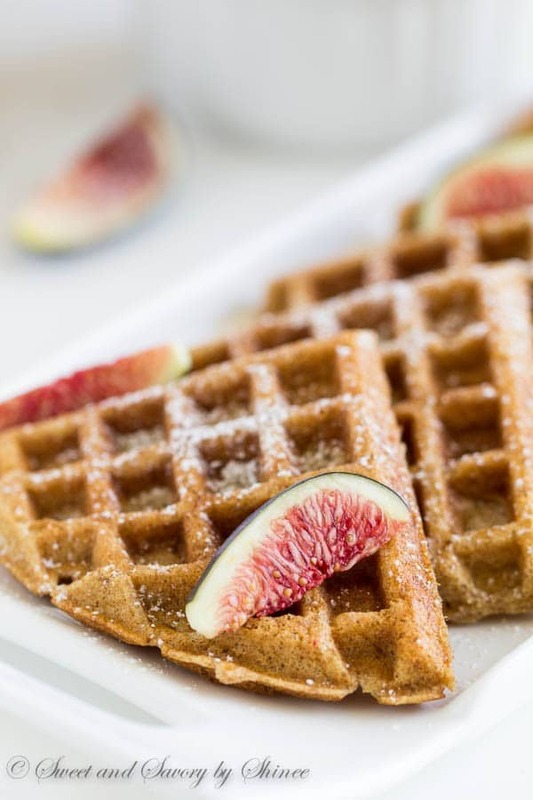 You won’t even notice that these extra fluffy waffles are made with whole wheat cereal and packed with nutrients! To make them even more special, top them with sweet and tangy yogurt whipped cream and honey-glazed fig compote. We’re having waffles today! So fluffy and soft on the inside, yet crispy on the outside. You won’t even notice they’re whole wheat waffles. Excited? You should be. This healthy version of weekend staple is dressed with warm honey-glazed fig compote and light and tangy yogurt whipped cream. Simply match made in heaven! Anyway, let’s talk about these waffles. The batter is made of equal parts of whole wheat Grape-Nuts cereal and all purpose flour. Grape-Nuts cereal is loaded with whole grains, fiber and protein, an excellent source of nutrients! My MIL loves this cereal with milk, but I love to grind them up in the food processor and use it for power breakfast. 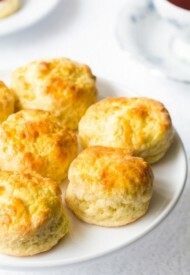 To create that soft and fluffy texture, I mixed the dry ingredients with a mixture of buttermilk and sour cream. They’re amazing at locking in the moisture and creating fluffy baked goods. I’m sure you’ve heard of that before. Fig compote is super easy to make. Simply cut the figs into small pieces and bring it to a boil with raw honey and water. I specify raw honey, because it’s 10x better than the regular ones. Though you won’t get the nutrients from raw honey in this compote, since we’re boiling the mixture (honey loses its nutrients at the boiling temperature), but you’ll get amazing honey flavor! Ooooh, and one more thing. Lately, I’ve been obsessed with my recent new discovery. Yogurt whipped cream!! It’s basically whipped cream mixed with greek yogurt. It’s tangy, it’s sweet, and it’s so amazingly light. You’ve got to try this! I’m going to dedicate a whole post to this very soon. Stay tuned. 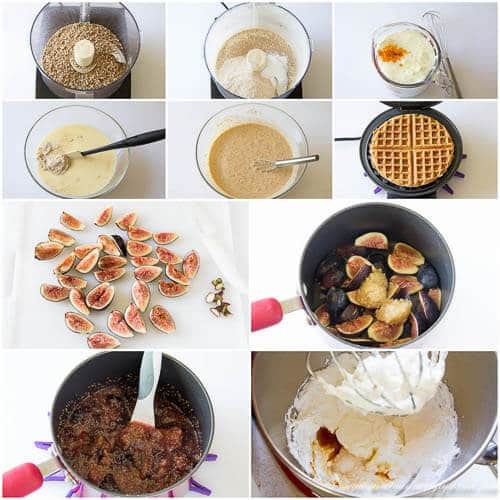 To make the fig compote, cut off the steams and slice the figs into small pieces. 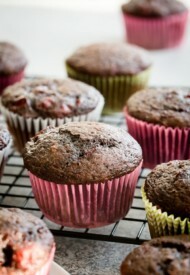 Place them in a medium saucepan with honey and ¼ cup (60ml) water. Bring it to a boil over medium high heat and cook for 5-10 minutes, stirring occasionally, or until the mixture is thickened. Set aside to cool. 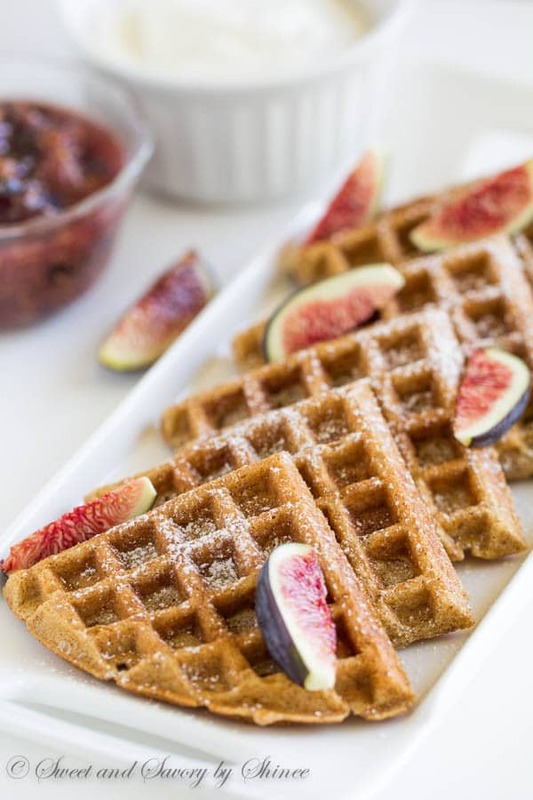 To make the waffles, place the Grape-Nuts cereal in a food processor and process until fine, about 4-5 minutes. Add the remaining dry ingredients and pulse until combined. In a medium bowl, whisk together buttermilk, sour cream, eggs, vegetable oil and vanilla extract until smooth. Combine dry and liquid mixtures together and whisk until smooth. Preheat the oven to 200°F (95°C). Line a baking sheet with wire rack and place it on middle rack. Preheat the waffle maker. Pour ¼ cup of batter (more or less depending on your waffle maker) and close the lid. Cook the waffle until golden brown and crisp. Carefully remove the waffle and place it on the wire rack in the warm oven. And continue with the rest of the batter. To make the yogurt whipped cream, beat the heavy cream until hard peaks. 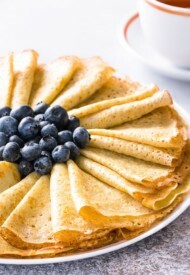 Mix in Greek yogurt, honey and vanilla extract. 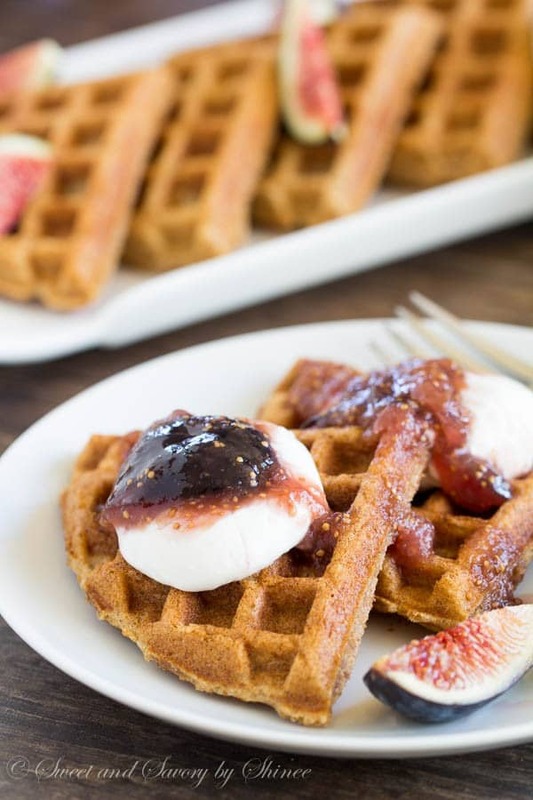 Serve the waffles immediately with yogurt whipped cream and fig compote. If desired, serve more fresh figs alongside. This fig compote is killer. I love that these waffles are a healthier, more filling breakfast then traditional waffles. Yes, indeed, these waffles are healthier and loaded with nutrients. Thanks, Kristen! So I just discovered fig a few weeks ago and I’m obsessed!! And… waffles are a regular around our house. With school just around the corner I’m always looking for new waffle recipes as I just get bored making the same ones all the time. The cereal in this one makes a perfect addition to boost that first meal of the day. Love! what a great idea! these sound so good, and I love the figs! 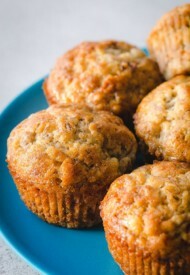 Oh boy, these look way too good to not try out for breakfast tomorrow! What a perfect weekend breakfast! Looks just delicious. Yep, it’s amazing! Thank you, Beeta! I’m so jealous. I don’t have a waffle iron!! Could you just pop over and bring me some of these? Hot and fresh please! 😉 Sharing!